Released on their own brand new label called HLR, GRASS WIDOW serve up their fifth official release and the first of what is going to be a string of 7″ singles based on the theme of collaboration, called the Common Chord series. It was hard going into this one without a bit of excitement, considering we haven’t heard much from Grass Widow yet this year. But as you probably could have guessed, this new slab of wax was certainly worth the wait. What you will find are three tracks total, two of which are covers from the likes of Neo Boys and Wire, with the third being an original from Grass Widow themselves. First up you will find the self-titled “Milo Minute” which quickly introduces you to a frantic and wonky sound that is totally unsettling in its structure. Right away you will discover that everything about this makes it so easy to love Grass Widow, because no other band out there right now creates quite like these girls even if they wanted to. We find it impossible to not be enthralled with this music, as the key to their sound lies under their frantic energy and it’s something as simple as utter charm. As the intricacies fold and entwine themselves with each other, you too will become one with Grass Widow. Right in the middle of this single you will find a most excellent cover of the Neo Boys “Time Keeps Time”, the original of which you can hear within this insightful post right here (definitely worth a listen if you like a good reference point). On their single, Grass Widow come through with no sweat and cover this concept song so well it actually hurts. They have a knack for creating songs that appear sloppy on the outside but are indeed more organized than just about everything else we cover, this song being a true justification of that no matter what type of song it is (it’s a cover). Clearly this only means they put forth 100% effort every time and it continues to show so we continue to praise. Other bands could learn a thing or two about consistency and effort thanks to a band of this magnitude. This leaves us with their last take on a song by Wire from their 1977 album “Pink Flag”, which has a springy bass line that womps along under the swift rhythm. It’s easy enough to ride out on the calming waves of enchanting vocal bliss, only proving the idea further that no other band sounds quite like they do. There’s something about this sound that makes it a glowing standout to everything that is similar, now if it only came with an instruction booklet. 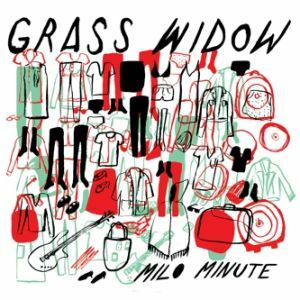 PS – Don’t forget to check out this music video of Grass Widow performing “Milo Minute” for gorillas at a zoo. Don’t you wish you could add that one to your list of accomplishments? Why not snag their debut LP while you’re at it? Totally worth it! 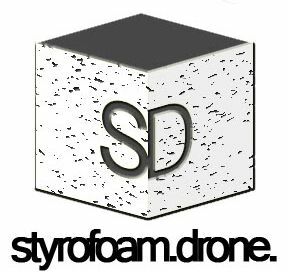 Posted on August 3, 2011 August 3, 2011 by styrofoamdronePosted in 7", Reviews, Still Spinnin'Tagged Covers, ethereal, pop, post-punk. Nice little 7”, isn’t it? Really looking forward to more in the series. Thanks for linking us! totally agreed, me too! no problem!